VietNamNet Bridge – A severe shortage of funds and personnel has resulted in such loose management of pesticides in the southern region that most of the market is “out of control,” agriculture officials say. 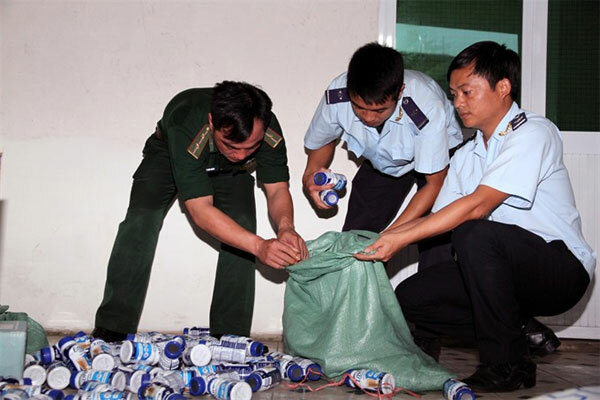 In Binh Thuan Province alone, there are 780 shops and agents selling plant protection drugs spreading over nine cities, districts and towns. The inspection office gets VND100 million (US$4,400 approx) every year for inspection of production and trading of pesticides and fertilizers. This allows for just two inspections a year, covering about 200 to 300 shops. The remaining is “out of control,” a Nong Nghiep (Agriculture) newspaper report says. It cites Do Van Bao, head of the province’s Cultivation and Plant Protection Division, as saying that the cost of testing a sample is about VND550,000 ($24.4). At each inspection, depending on the State fund for management of “plant protection products,” about 12 to 15 samples are taken for testing. “Since we have a very limited budget, we only take a few samples for testing. We chose samples with suspicious signs of bad quality like curdled powder, sedimentation or precipitation,” Bao said. Dong Nai Province has a large agricultural area and diverse crops, so the demand for pesticides is large. “Fake pesticides commonly found in the markets are those carrying big brand names like Bayer, Syngenta, HAI and ADC. It is very difficult to detect the fakes by outside labels. Only producers can recognise them,” Bao said. Last month, a packaging company in HCM City’s Tan Phu District was discovered printing fake labels of a well-known pesticide producer. Bui Van Kip, technical director of the Bayer Company, said that the divisions only focus on inspection and detection of shops and agents, while the root of the problem lies in production, which receives far less attention.